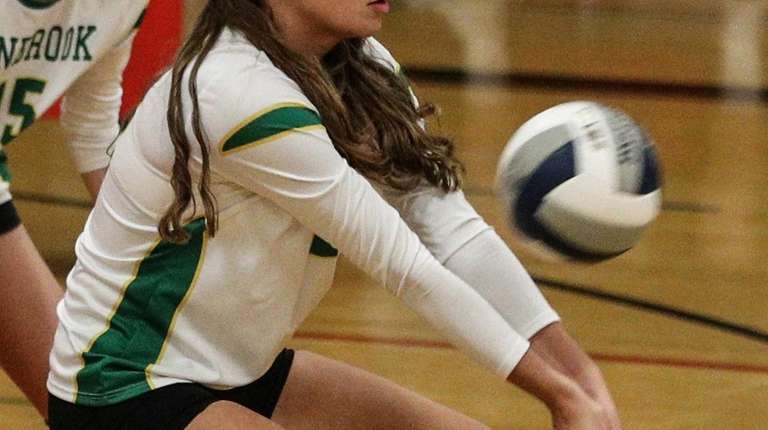 The Lynbrook Owls didn’t have much success against Nassau A-I rival South Side during the regular season, losing both matches and winning just one set. Something changed Monday night. Armed with a nearly impenetrable back row defense, No. 4 Lynbrook overcame losing the second and third sets to win the match, 25-21, 22-25, 16-25, 25-15, 25-21. Setter Ami Carey had 54 assists, 21 digs, two aces and one kill in the upset of top-seeded South Side. Christina Franco had 34 digs, 15 kills and three aces, while Kayleigh Stalter had 15 kills and seven digs. Kate Foley (36), Felicia Guglielmo (20) and Lena Weinkauf (12) each had double-digit digs, showcasing the balance of Lynbrook’s defense. The Owls are a junior-laden team with just two seniors — Victoria Strife and Emily Heinrich —and they matched the experience of South Side from the opening serve. Now 8-7, Lynbrook faces No. 2 Wantagh in the county final, scheduled for Thursday, Nov. 8, at 8 p.m. at Farmingdale State. 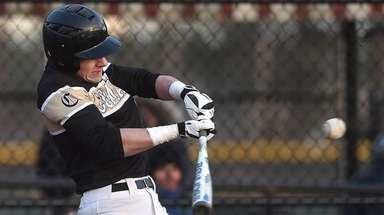 An exceptionally balanced team with powerful hitters, Wantagh could test Lynbrook’s defense. 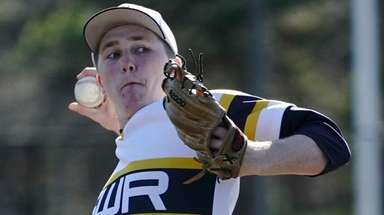 But with the same type of performance they put forth Monday, the Owls could have enough to be crowned county champs. Three players do most of the heavy lifting for Wheatley – Jamie Ryan, Irene Lountzis and Sofia Greenfield. If they’re clicking, Wheatley is hard to stop. Another year, another Glenn v. Bayport-Blue Point county final. Last season was something of an anomaly, as Mattituck (playing in Class B at the time), defeated BBP to play in the county final, only to lose to Glenn. The Knights are likely favorites again, in large part due to Mia Cergol, a senior committed to Bryant. She impacts the game in so many ways that it will be difficult for BBP to keep tabs on her. Phantoms coach Tori Mulgrave is one of the best on Long Island, though, so rest assured that her team will do its best to counter. Much of Glenn’s team from last fall returns, including Cassidy Evans, Mia Sansonelli, Caroline Miller, Caroline Garretson and Jennifer Breneisen. In another epic five-setter played Monday, Kings Park outlasted top-seeded East Hampton. The Kingsmen, winners of seven straight county titles and Long Island Class A championships, are back where they've been for much of the last decade. Lauren Weir and Carly Estherson helped Kings Park advance, and they’re key pieces for another potential upset of Westhampton, one of Kings Park’s playoff rivals. Belle Smith, a three-sport standout who specializes in lacrosse, anchors a Westhampton defense that won’t be easy to crack. Juliette Seeliger and Cortina Green provide offensive punch. 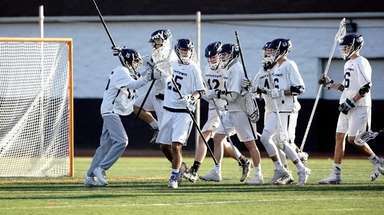 Class A is Long Island’s most competitive classification when factoring in both counties, so it’s tough to predict what could happen. It’s the rematch all of Suffolk wanted to see. 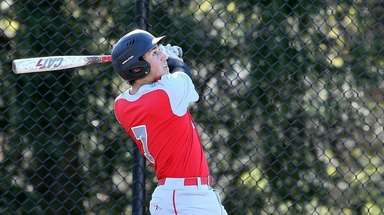 Last year, Connetquot swept Commack in the county final before eventually winning its second state Class AA championship in three years. This year’s T-Birds are a different bunch, but adding to the trophy case has become a yearly tradition for this program. 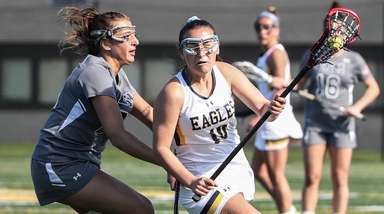 Julia Patsos, Diana Migliozzi and Kiarra Roth have become the go-to players for Connetquot, which has found a rhythm after beating Smithtown West (the No. 1 seed in the tournament) twice in the last three weeks. Commack is fresh off its second straight undefeated season in Suffolk League I and returns nearly the entire roster from last season. Abbey Dummler is a star, but she’s the leader of a very balanced team on both ends. Both of these teams are scrappy and don’t let balls hit the floor without a challenge. This should be fun. Following the remaining county final matches on Thursday, the winners from each classification in each county will play on Sunday, Nov. 11, at Farmingdale State for the chance to advance to the state semifinals at Glens Falls. Below is Sunday’s schedule. 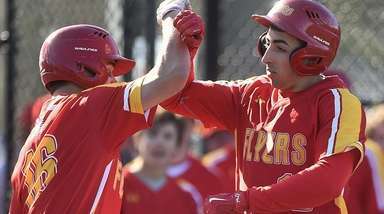 Class C: Mattituck vs. East Rockaway, 1 p.m.
Class B: Glenn-BBP winner vs. Wheatley-Seaford winner, 3 p.m.
Class A: Westhampton-Kings Park winner vs. Wantagh-Lynbrook winner, 5 p.m.
Class AA: Commack-Connetquot winner vs. Long Beach, 7 p.m.